I don’t know what to think about the new Syfy‘s series “Bitten“. Werewolves are everywhere now, in movies and television. 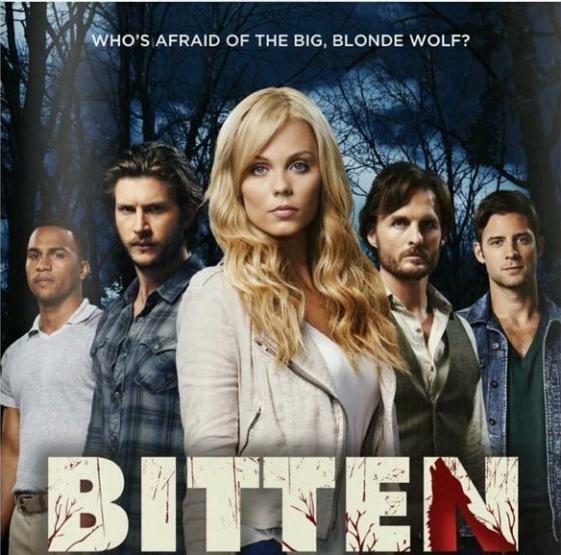 Wolves and Vampires are evergreen so, Syfy decided to broadcast “Bitten” a new Canadian series about werewolves. First of all, the only different from the other series is that the main protagonist is a female and that is strange because everytime we think about werewolves we think of male characters. This is the first interesting thing because we can see a story from an another point of view. As always, when we have a female character, we have a love story and, in this first episode, we can understand that she has a boyfriend but also she had something with another werewolves, and that is another good point. The cast of the series is not so famous (except of Laura Vandervoort and Paul Greene) but is quite good and every characters has something to give to the show. Another interesting thing is that beyond the love story and the personal problem of the protagonist, we have a misterious killer that love to “eat” nice girls. That’s ok because this mistery can keep the attention. At the moment, I don’t have an idea about this show but I think that the next episodes will be ok because a lot of stuff have to be developped. If you missed it, here there is the official trailer of the series if you want to know what we are talking about.